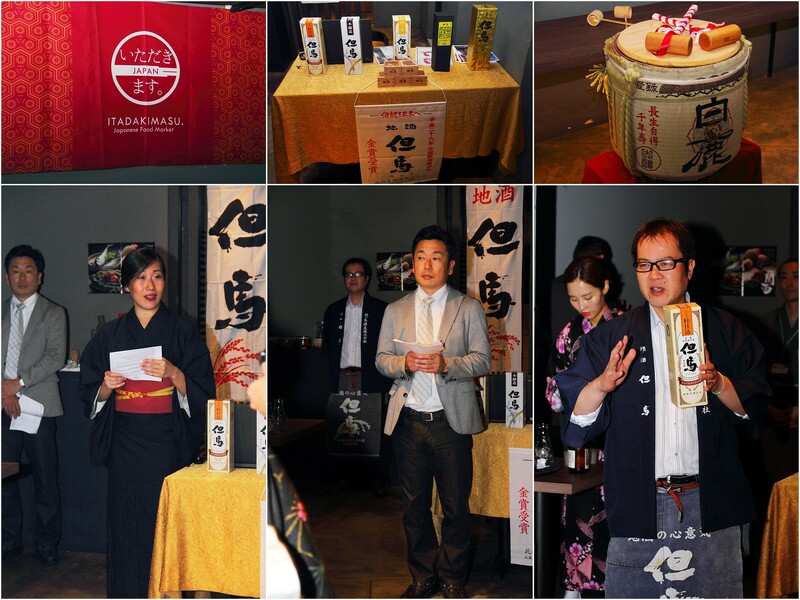 For the next 3 months at Boruto Sake and Tapsa Bar, the modern izakaya will be collaborating with Kansai Food Export Promotion Cooperative Association (KFE) and Miumi Japan Food Co. Pte. Ltd. to bring to the shore of Singapore, the Hidden Gems of Kansai Promotion. 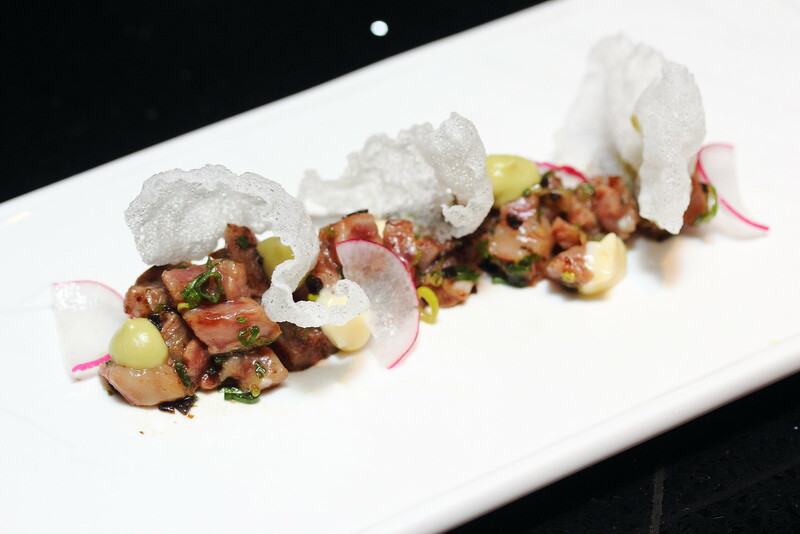 It will be showcasing unique Kansai products through 6 courses set dinner at $98++, a la carte tapas based on Kansai seasonal products and Sake from Kansai region. 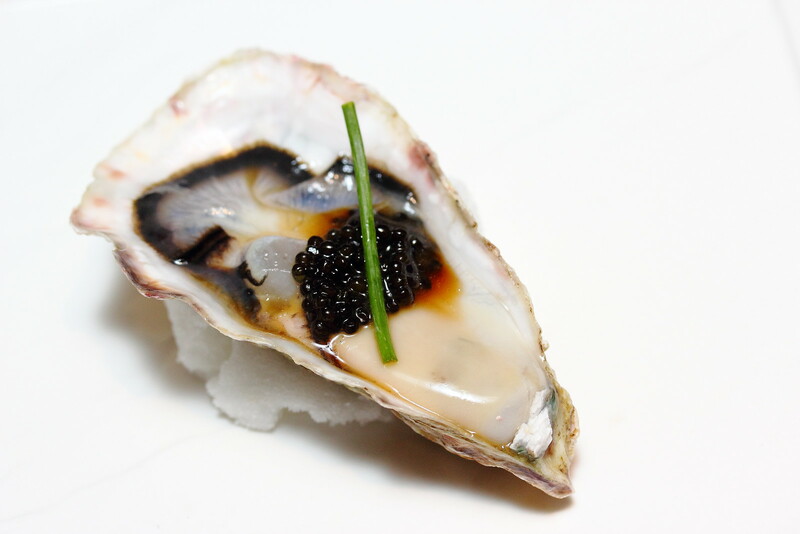 The six course omakase menu started with the Fresh Oyster from Mie with malossol caviar. The clean taste of the oyster has a subtle sweetness to it that is quite smooth for the palate. Next is the Omi Wagyu from Shiga which is served tataki style. The beautiful marbled wagyu is smoked and chopped with scallions. Eat bite into the fatty marbling is bursting with lovely flavour. 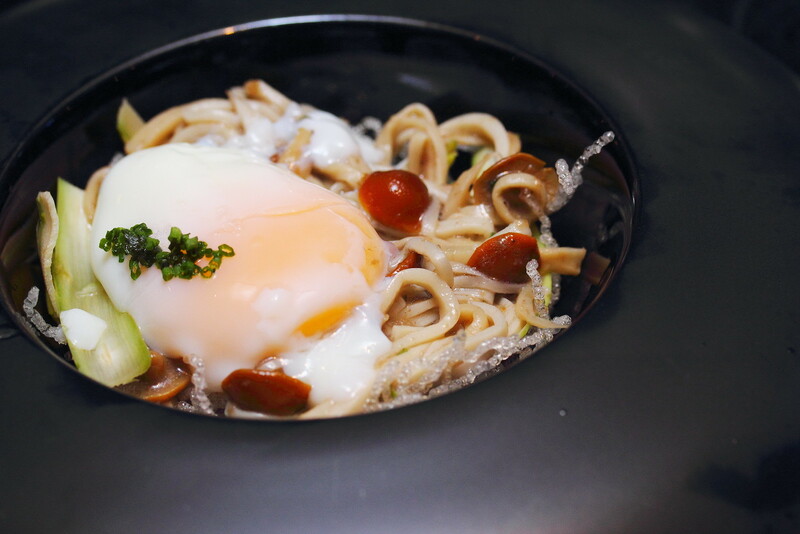 I thought this is a very creative dish, King Mushroom "Pasta" from Tottori with green asparagus in a crispy rice vermicilli nest. I never expect the chef to substitute the pasta with mushroom. This gives the mushroom noodle more bites and flavour. 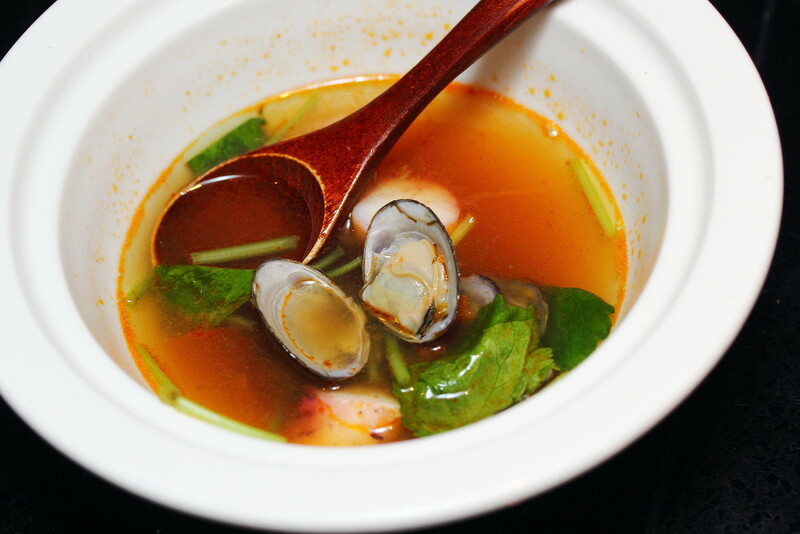 The soup comes with Octopus from Hyogo and shijimi clams, simmered with sake & chorizo picante. The octopus was cooked to a nice tender texture. The richness of the soup is perfect for those that has too much a drink. I felt all my senses are waken up again after drinking it. For something more substantial, there is the Udon from Hyogo braised with squid ink stock, topped with firefly squid and Yuzu molecules. I can sense that the kitchen was a bit rush in executing the dish. 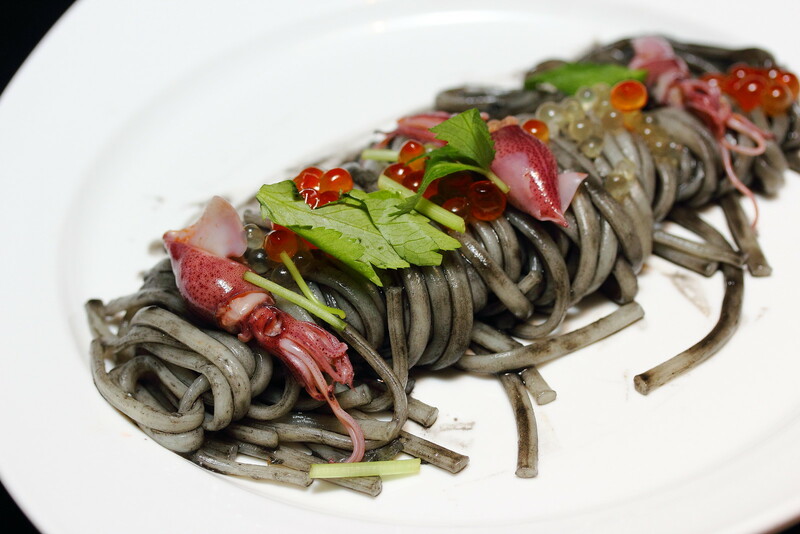 The udon does not seems to be coated evenly with the squid ink stock, and it didn't manage to come together as a dish. Wrapping up the six course omakase meal is the Warabi Mochi, a jelly-like confection made from bracken starch, coated with kinako and matcha powder. Mochi is usually quite chewy but this is really soft with jelly like texture. 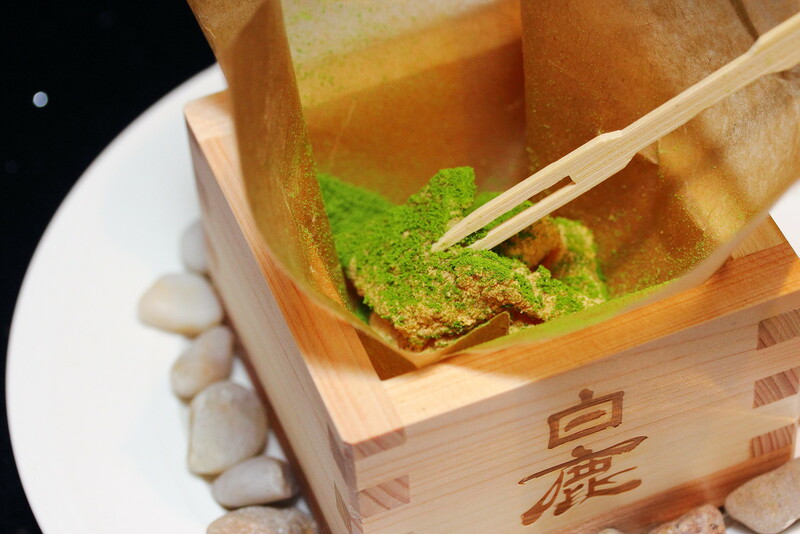 The kinako and matcha powder elevated the whole enjoyment. One of the hidden gems in kansai is their Sake. We are privilege to try some of the sake made from Konotomo Brewery which has won the Gold prize for two consecutive years. 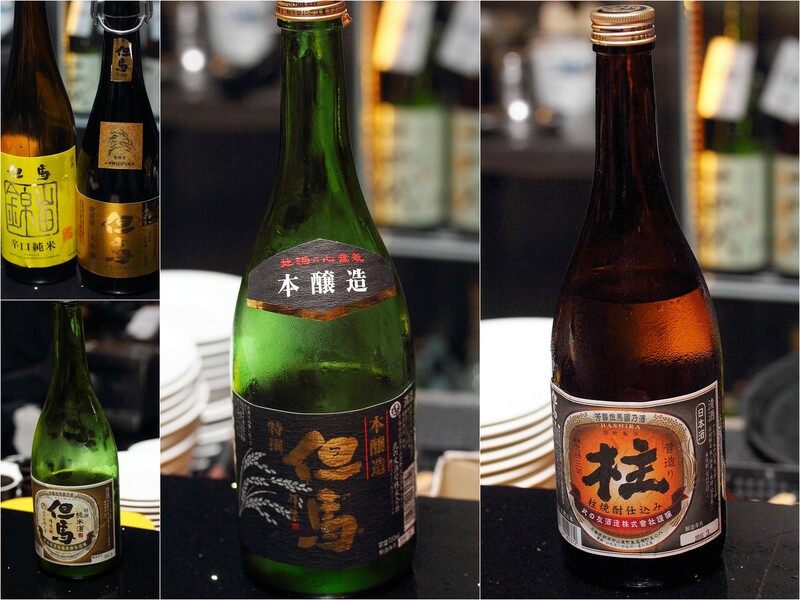 Diners for the next 3 months at Boruto will also be able to try a selection of sake from Konotomo Brewery. For a limited 3 months period only, do head down to Boruto Sake and Tapas Bar to discover the different unique gems in Kansai.